There is lot of discussion going on these days in Pakistani Media as Dollar rate is going up and up in Pakistan after every few days. earlier this year Dollar crossed the exchange rate of 100 for Pakistani rupee and now it is touching 110 Rs. 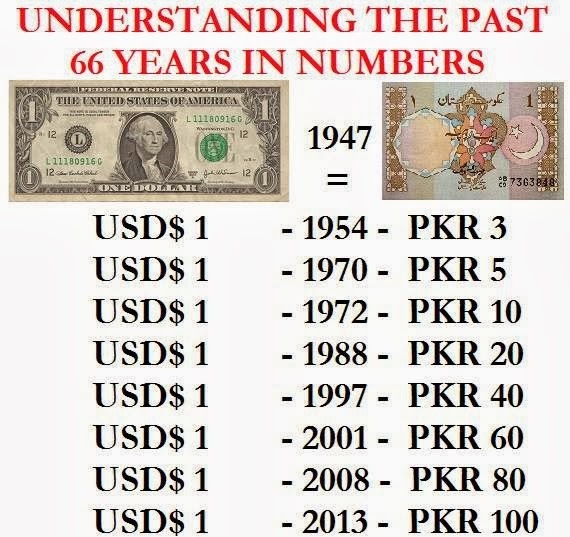 Dollar rate has always increased in Pakistan since the Independence in 1947 but in last few years it is increasing at a great speed which has created lot of dangers for the Pakistani Economy.